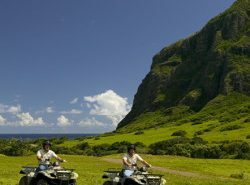 Kualoa Ranch Hawaii, Inc. Kualoa Ranch Hawaii, Inc.
Kualoa Ranch Hawaii, family owned and operated, has as its mission to be a role model as stewards of the land. 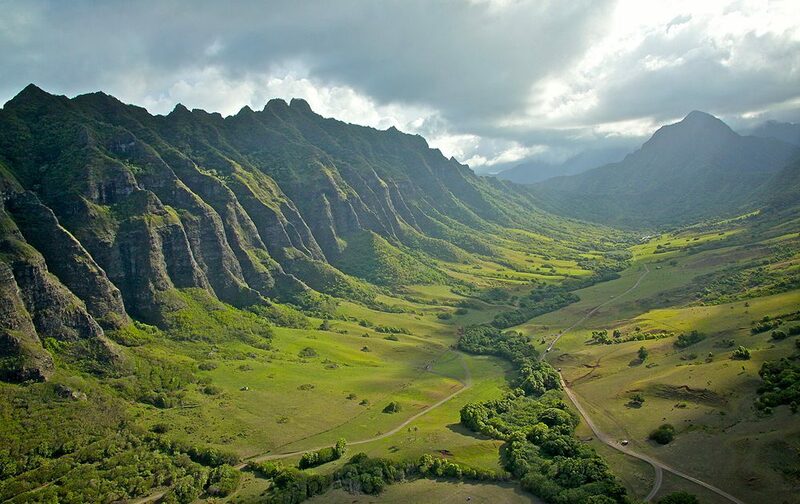 We do this by preserving, protecting and enhancing its natural beauty and culture, while developing recreational and agricultural enterprises compatible with the environment. 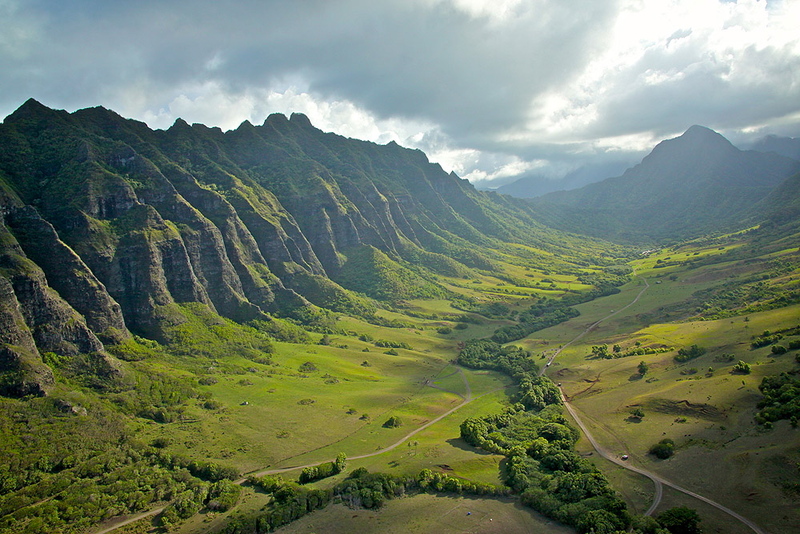 Kualoa is one of the most historically significant destinations on Oahu, and in ancient times, one of the most sacred places on the island. 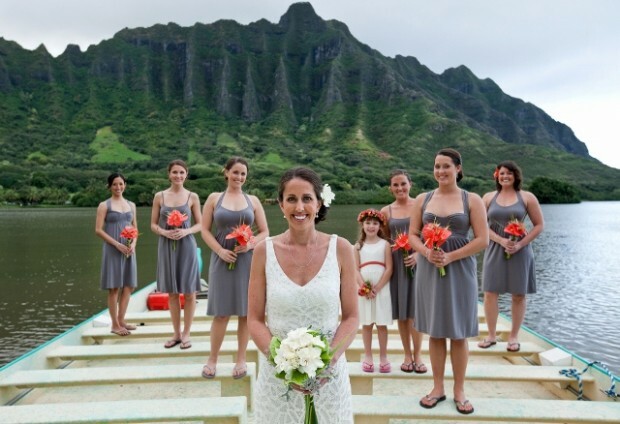 Come experience the aloha that Kualoa has to offer. 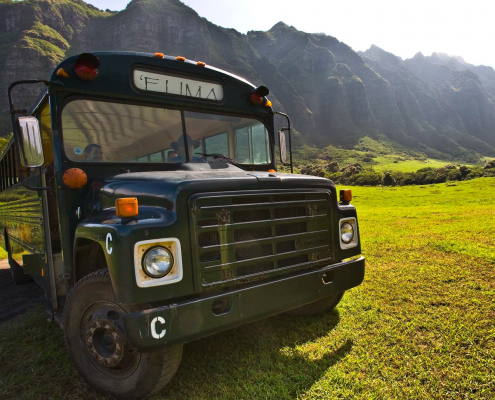 Journey through the beauty and tranquility of this special place while on our Hawaiian eco-tours and activities through many of the sites made famous by the many Hollywood movies and television shows filmed on property. 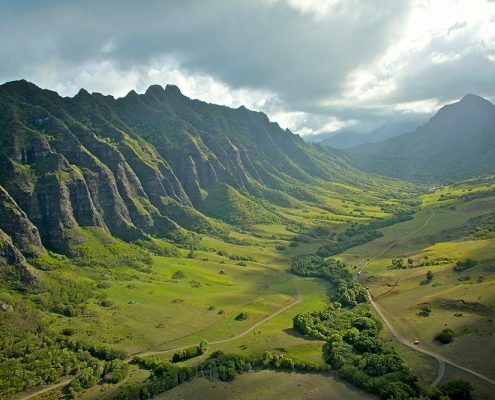 The Kualoa Private Nature Reserve is legendary to ancient Hawaiians and to the Hollywood film industry, and is also a working cattle ranch and farm, preserved and managed by the sixth generation kama’aina family (the Morgan ‘ohana) who consider themselves stewards of the land. 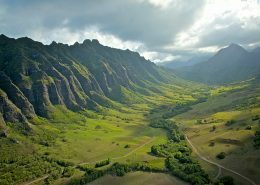 Your visit to the Kualoa Private Nature Reserve contributes to the Kualoa Private Nature Reserve ‘ohana’s (family) efforts to preserving the natural beauty and cultural significance for future generations of locals and visitors to enjoy. 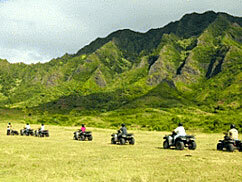 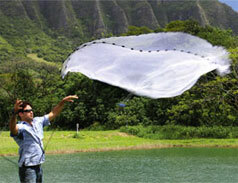 Kualoa offers Hawaii’s top tours and activities on Oahu. 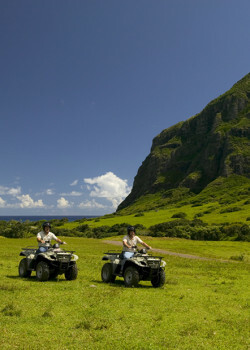 Purchase individual experiences or Tour Packages. 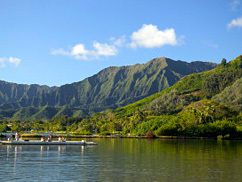 Kualoa is open 7 days a week except Christmas & New Year’s day. 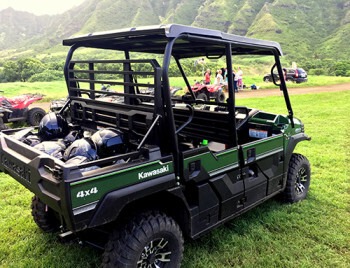 Transportation to and from Kualoa is offered as an option. 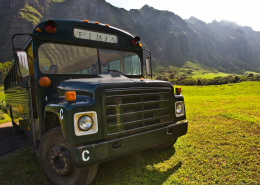 See also, Tour Restrictions. 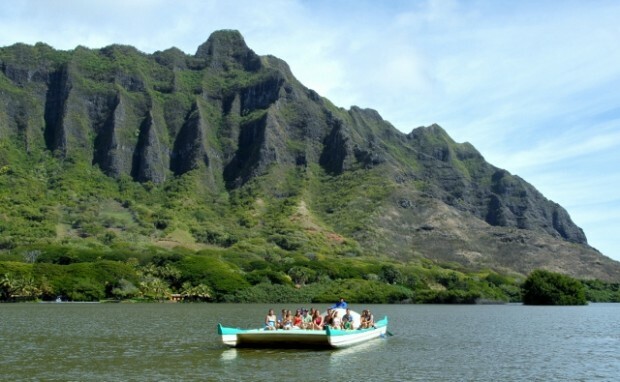 Come experience the best oahu tours at Kualoa! 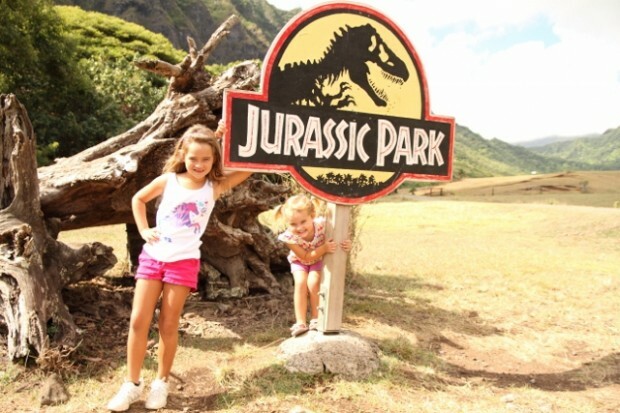 Reservations are highly recommended to be made at least 24 hours in advance, online reservations need to be made at least 24 hours in advance. 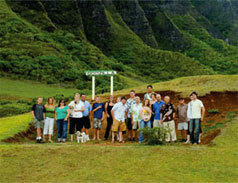 The Nature Conservancy - member of the Corporate Council for the Environment. 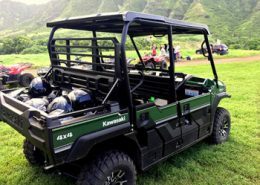 Donation of Kualoa facilities to host the annual state Farm Fair and 4-H.
Donation of over 100 gift certificates for activities and tours and subsidized education tours for over 14,000 students annually.